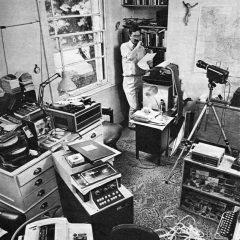 Spy Story is a short novel by Len Deighton. 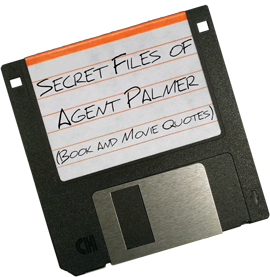 The book is extremely similar to the “Unnamed Spy” or “Harry Palmer” series of books (The IPCRESS File, Funeral in Berlin, Horse Under Water, and Billion Dollar Brain). 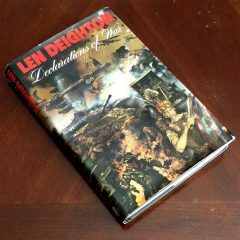 Declarations of War is a collection of short stories; 13 to be exact, a baker’s dozen if you will. Of, exactly what you would expect, war… But the title goes deeper. Each of these short stories contains a declaration about war. But that’s not as good of a title, though it could be argued that these stories are declarations on war, which makes sense despite the fact that my spell checker thinks “declarations on war” was a mistake. No, I meant it. And like Deighton’s full size novels, I’m basing this off of the one’s that I have read. this story is a wealth of great intelligence in storytelling, dialogue, and of course, precisely written descriptions and detail. 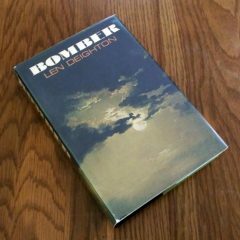 That’s the first paragraph on the inside dust cover of Bomber by Len Deighton and it is a perfect description of the book.